In a few years, mobile communication has exploded in Nigeria. Between saturated lines, network failure, multiple subscriptions, obsession with social networks and harassment of “stalkers” that constantly call on users. The world of Nigerian telecommunication is a world apart, with its rules and strangeness. “This number does not exist!” It is not uncommon to receive this telephone message when calling another subscriber in Nigeria. The newcomers to Nigeria easily fall into the panel: they really think they have a bad number. And contact the person who gave them the impression that it was wrong. In fact, the lines are simply saturated! Where this answer intriguing. The Insiders know that it may be necessary to keep trying for some fifty times before winning the case, finally speak to the subscriber he/she kept dialling its contact number. Another big surprise for newcomers: in Nigeria, it is difficult to get a phone number. While in most countries on the continent, it only takes a few minutes to buy a SIM card at a low price. In Nigeria, it is necessary to show white paw and essential to visit the operator with proper identification. The Nigerian authorities then give themselves the option of denying you access to the precious SIM card. It is officially to fight against the crooks, the famous “419” which have given a reputation anything but positive in Nigeria. And also, to fight more effectively the terrorists of Boko Haram. For having forgotten this rule (five million subscribers would not have been registered), the market leader, the MTN was sentenced to an astronomical fine of $5.2 billion. After a tough negotiation the amount of slate has been reduced. But it still remains $1.7 billion to pay to the Nigerian state. When you call a carrier other than the one to which you subscribe, the sound can be terrible to the limit of the audible. In addition, when operators have financial difficulties, the service deteriorates considerably. Accordingly, users often have multiple subscriptions. As well, the giant of Africa with 186 million souls, has more lines of Phones than total population. In Lagos, the Phones became the best friend of men and women, especially some young women who multiply selfies on red carpets in order to highlight their new hairstyle, makeup and posters immediately clichés on social networks. In Nigeria, the internet remains expensive but glamor has no price. It is difficult to participate in a dinner without the slightest dish being photographed by flash under all the seams. The Christmas turkey is immediately on Facebook and on other social networks so that the whole world can have a taste of it. The iPhone is a must, it has long supplanted the Blackberry which was in vogue at the beginning of the years 2010. Samsung also opened shops that are set out on the street. The fake laptops are legion. Between fake phones and faulty lines, the sound is often atrocious. But few people seem to be offended. The essential is probably to be seen permanently with this accessory of modernity hooked to the ear. In many circles, the younger business cards are considered to be cheesy. They were replaced by exchanges of telephone numbers and e-mails. 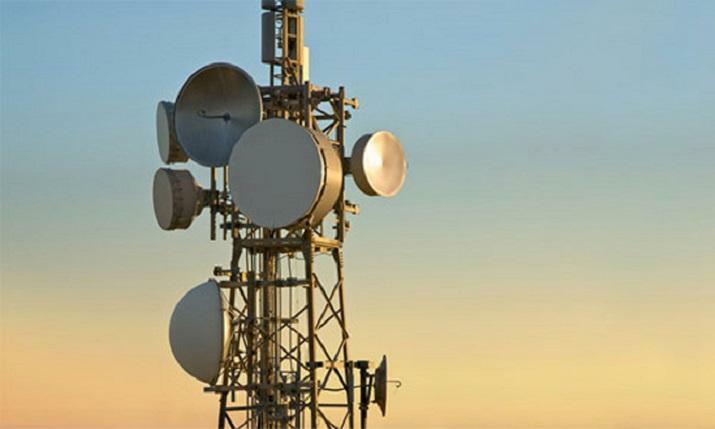 “In Nigeria, the telephone communication frenzy is probably greater than elsewhere in Africa. We have been deprived of telephone for so long that now we want to catch up with them,” said by a businessman in Lagos. From the virtual absence to the ubiquity of the telephone. It is true that the country is coming back from a distance. Until the early 2000s, Nigeria was far behind in the field of telephony. The notebook was still scarce. And the fixed phone was a luxury that few could afford. “It was necessary to pay very large bribes to receive a fixed line quickly and then once installed the wires were very quickly stolen. The metals composing it were resold at a good price,” said Ahmed Bello, a senior official in Kaduna north. The country has almost skipped a step, that of the wired. It has gone from the virtual absence of telephone to its constantly encountered. Today, it serves everything from banking to renting an Uber. And also, the harassment of other phone owners. It is not unusual to be awakened at five in the morning by a verse of the Koran or a passage of the Bible sent by its telephone operator. Or by sending a message telling you that you have won a contest in which you have never participated. To this are added the SMS of a woman fell in love with you without ever having met you. Or a stranger tells you that today is his birthday and that you should make a gesture if you are a good Christian or a good Muslim. In Nigeria, harassment, is considered a national sport. It is not uncommon for someone to call you fifty times in less than an hour. Your ‘stalker’ will not think you are in a meeting or you may not want to answer him, he will continue to harass you until you answer or turn off your Phone. This is problematic for your other callers, the ones you really want to talk about. “Resilience” is considered an essential quality. The stalker can be a salesman who will make you a hundred times in a row the same proposition without ever discouraging. Despite the lassitude, one cannot help admiring his tenacity, even if he calls you on Sunday at six in the morning. It spoils your morning, but probably also his own. Didn’t Picasso usually say that “All men are equal, except the tenacious”? What would have thought the Catalan painter of the “Nigerian stalkers” difficult to say with precision. We must recognize that they invite us to question our most deeply rooted social patterns. The stalker laughs at what the person he calls thinks. He uses the telephone as a weapon: he thinks you have to wear. And he’s probably right. The phone can ring at any time of the day or night, without the caller having anything urgent to tell you. He can call you to say “hello”, to ask you “if you are okay” and secondarily to ask you for a service. Stalking is so developed that a large number of users never land when it is an unknown number. If you want someone who does not know your number pick up, you must first send him an SMS so that he understands that you are not a mere “stalker”. The use of the telephone therefore requires a carefully thought out strategy and a perpetual instinct for survival. Or if your number has circulated too much, you have to change it regularly. It is not uncommon for the numbers of important people, “Ogas” or “Oga pata pata”, bosses or influential people, to be resold to the highest bidders. Since then, many people come to regret the sweet time when the phones were not working or hardly any. As Lagos was a particularly busy city, the “stalkers” had to think twice before visiting you and you could always pretend not to be there. Yes, as it seems delightful the time the phones were not working. It was still possible to escape the stalkers of any hair. Today, no one believes the message “This number does not exist”. And in a country of over 186 million people where the freedmen are legion and the telephone lines even more numerous, do not hope to escape the charms of the society of hyper communication.